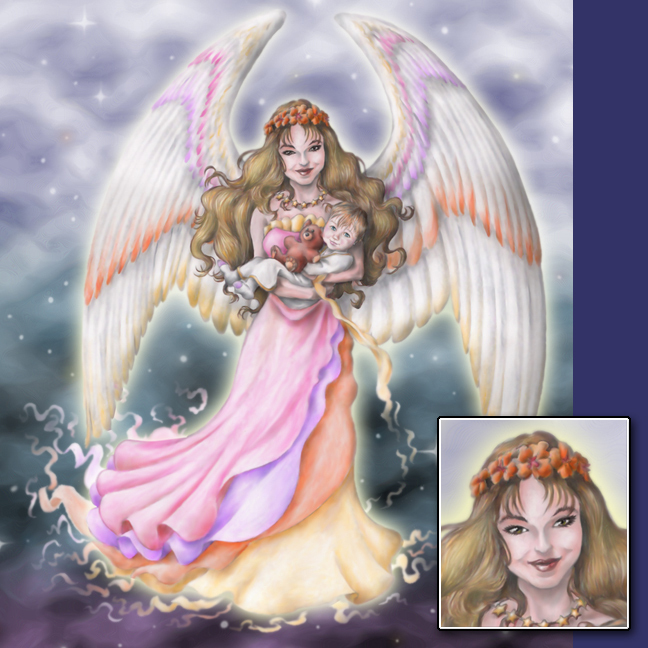 This was a contract of a Fantasy Portrait of a client for her CD cover of a lullaby: "Carmen Zaragoza: Angel of Dreams". The CD includes a spot for a photo. The Lullaby is now being translated into Spanish as well. Click the image to view the Carmen Zaragoza website!